Add bubbles to your outdoor fun time with the Fun-Tastic Bubble Pond! 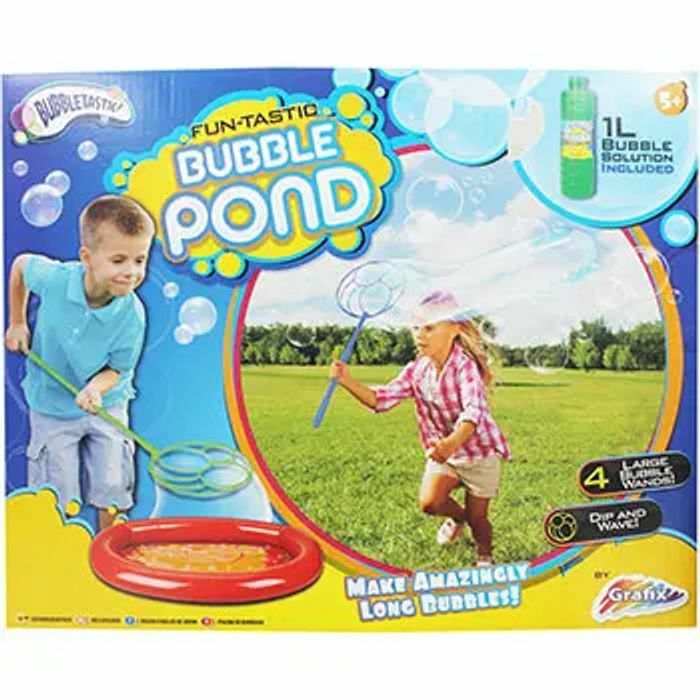 Simply inflate the pond and fill with bubble solution for hours of play. The bubble pond comes with four giant bubble wands so you can blow giant bubbles with friends! Make amazingly long bubbles as you run along with the bubble wand. My niece loves bubbles so this she would absolutely adore!. So.. Should I treat her? Or send her parents this link? ?